You will be drawing in a professional atmosphere of relaxed and occasionally very funny chat, jazz music, talk to the other artists and have an experience of mediative drawing with a professional life model. Sophie will be on hand to help with a few handy tips. Do not worry about how good you are, its about the journey not the destination. Its a friendly class for those that want to experience a bohemian Jazz real artist atmosphere. 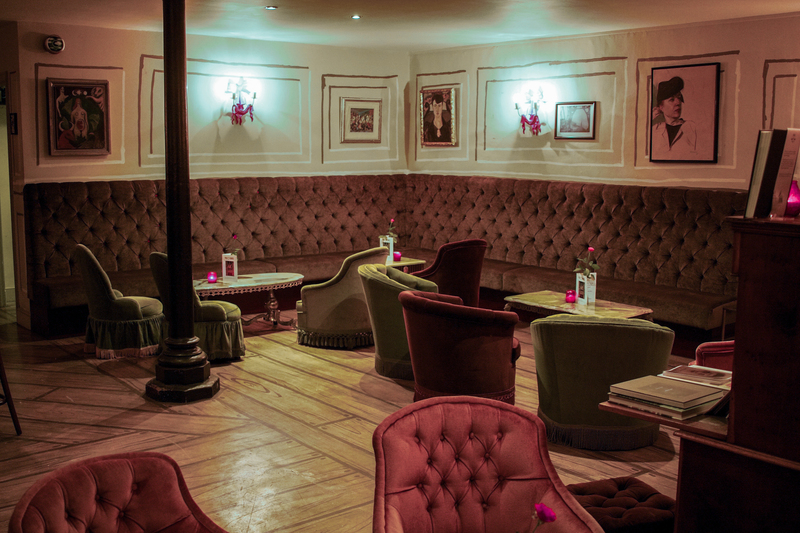 You will be drawing in the main salon of a private members arts club thats been hand painted by 8 professional artists. 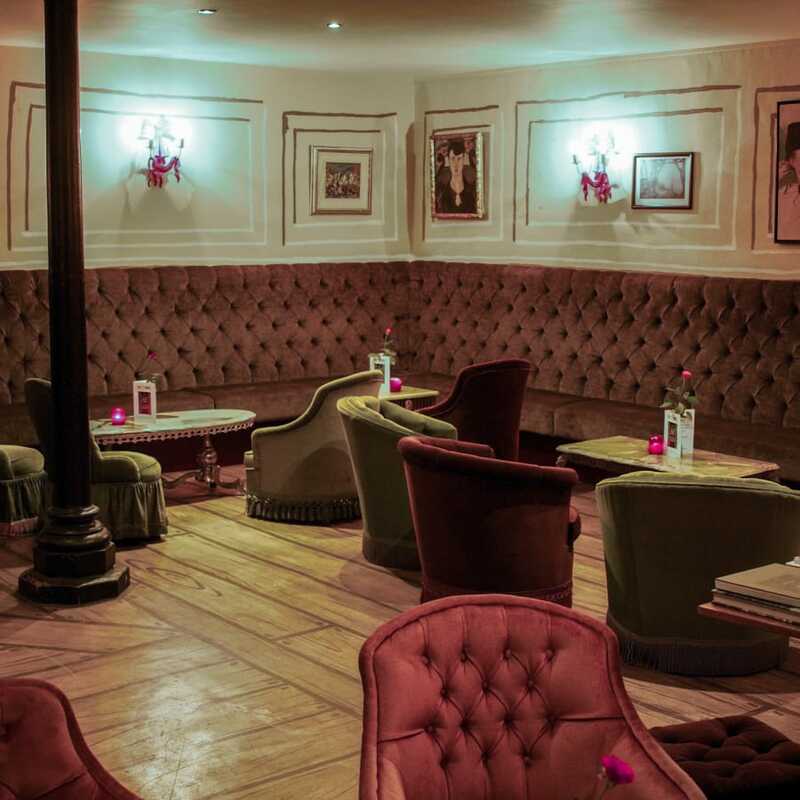 London's best kept secret, London's most unique club, a surrealist hideaway. There is also an art gallery next door owned by the club... who knows maybe you could become a member and end up showing your work at The Stash Gallery? So don't only give yourself 2 hours of drawing but allow yourself time to relax and absorb this magic underworld. You can ask Sophie for help. All paper and drawing equipment will be provided or bring your own sketchbook. It helps if you know your way around a pencil but don’t worry if you don't. It helps to have a sense of humour! 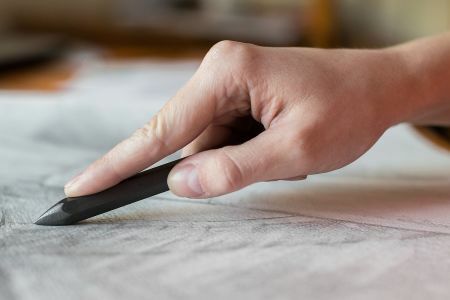 The less you look at your drawing whilst making it will give it more energy and improve your hand eye co-ordination! Hand eye co-ordination helps stop alzheimers! Fab and fun class! Great venue, good range of art materials and a bar at hand with organic french wine as the champion (for me atleast). Not much direction which meant your artistic side had to flare up itself. Will be booking this Obby class again for sure! Really great class, very informal and relaxed and in a beautiful setting. Ill definitely be back. Really fun class, laid back, very relaxing. Great to do after work as an activity to take the mind away from all its clutter! Everything about it is brilliant ! Great venue. Relax, focus and perfect meeting point to share with great other artists. Looking forward to my next one!!! !.Love it!!! The relaxed and unique atmosphere of Vout’s gets the creative juices flowing. One of the few life drawing venues where you feel you are among friends who love to share techniques and actually look at each other’s work! Sophie Parkin runs a great class and her choice of models is superb. A lively and friendly life class with avante garde surrounds and excellent models. Tasty refreshments are at hand as are helpful hints and equipment, all supplied by the wonderful host Sophie. A quality event for all standard of artist. Wonderful environment (like no other), models & people - what's not to love, if you wish to attend a life-drawing session in a totally unique convivial environment, you can't do better. Welcoming, and very friendly. Good music and a great atmosphere in which to draw. Vout-O-Reenees is a wonderful place for life drawing. It's totally chilled out, everyone is friendly and encouraging, it's fun!!. Fabulous models, music and food. The venue is amazing and inspirational. 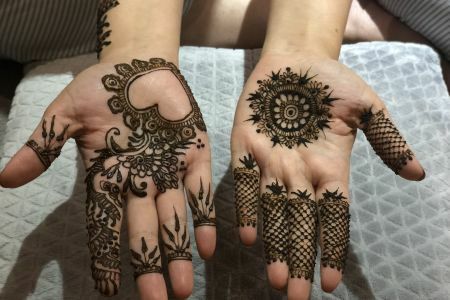 Check it out, it's a unique experience. Vout-O-Reenee is the Salon des Refuses, pour les refuses. Eye to brain to hand is the root of good art. Life drawing is the key; here it is. Perfect venue for a relaxed and informal class with a friendly and interested group. Encouraging and informative. What a great environment to do life drawing in, the environment, the model, the host, the bar - all perfect for a lovely evening of drawing, drinking and meeting new people. Great atmosphere with lovely fellow students. A much needed brain massage. Non judgmental creative spirit. In a beautiful, relaxed and welcoming atmosphere I enjoy doing several timed sketches while enjoying a glass of fine wine. the life drawing class always has wonderful models to draw and with inspiring poses. There is always great music as a backdrop. It is a great class I couldn't think of a better way to spend a Tuesday evening - you are transported to a talented creative world with great ambiance, wonderful people full of art and literature and fun. 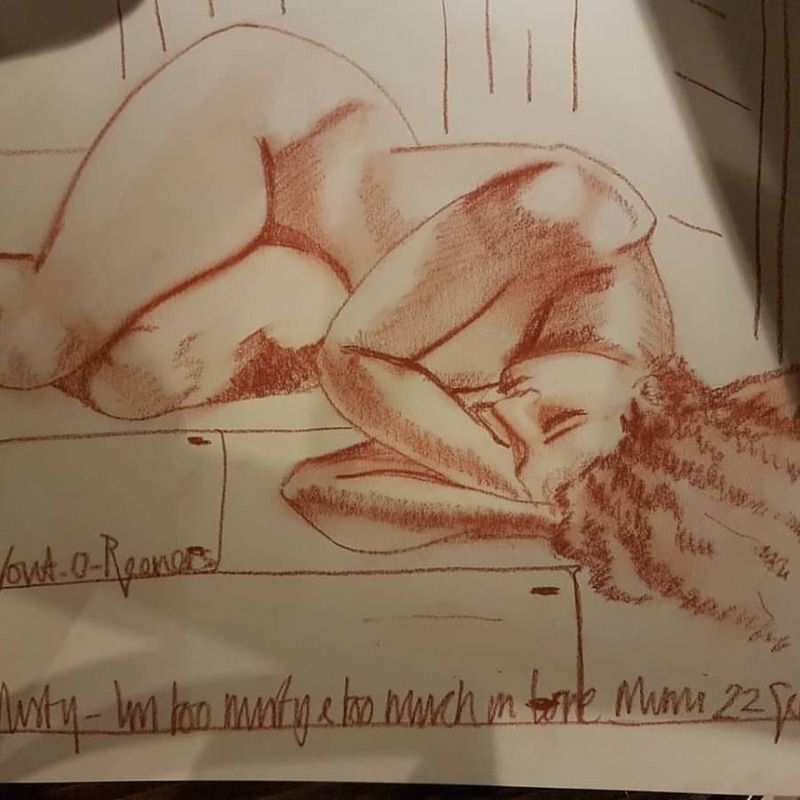 I have been going to life drawing at Vouts for three years and enjoy the informal atmosphere, music, model quality and the mix of seriousness of intent with comfort and welcoming good humour. The venue is idiosyncratic with a warm somewhat surreal character and a lively mix of regulars. Sophie P is arch hostess with raised eyebrow and lively opinions. I thoroughly enjoyed it, a great evening, was nervous to begin but was amazed at my results! Fabulous venue and hosts, good fun. Sophie Parkin, writer (The Colony Room Book - a history of Bohemian Soho), artist, club owner has been running a classic life drawing class every Tuesday for 3 years for members of her club in East London. Sophie is the world authority on Soho 1948-2008. She also owns an art gallery The Stash. Bring yourself and a sense of humour, we have all the equipment. If you have special sketching stuff that too is fine bring it. Sophie can advise on art shops and equipment if you wish to seriously continue. Please leave your expectations of immediate brilliance behind! Some of the class has been drawing for 40 years and they still can't always get the hands right!